Liberal politics in the broad sense, in the tradition of Locke, Voltaire, Madison, Jefferson and John Stuart Mill, is rooted in a conviction that vigorous debate clarifies issues and makes for better public policy over time. This principle is often misunderstood by political partisans, who confuse analytical disagreement with simply being contrarian and hurling insults. 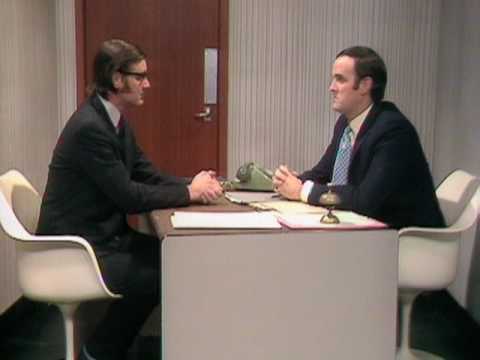 There is a famous Monty Python skit about the argument clinic. The argument-seeker at first goes in the wrong room, which is for abuse, which is heaped on him. Then he finds the right room, but objects plaintively that he is simply being contradicted, which is not an argument at all. But at least contradicting someone (“no, it’s not!”) is public. The opposite of liberal debate and analytical argument is the cult. Sociologists of religion sometime shy away from that word nowadays, feeling that it has been appropriated by the tabloids and become pejorative. But it has an important place in the history of the modern sociology of religion and I think it should be used, but defined carefully. I define a cult as a religious organization characterized by very high demands for obedience by the religious leaders, complete intolerance of dissent, secretive whisper campaigns against dissidents, dishonest destruction of reputations, and shunning and excommunication as social control mechanisms. It will be objected that all churches have some of these characteristics. But cultness is on a spectrum. Some organizations are high on a cult scale, some are much lower. There are also political cults. Stalinism and Baathism are both political cults in this sense. And, it is clear to me that some devotees of Jewish nationalism or Zionism practice their politics in a cult-like manner. I am not a fan of nationalism. I think most of its premises are frankly stupid. There are no “peoples” in the sense that romantic nationalists used the term. No “peoples” are tied to a land or territory. There is no such thing as a national character. People switch out their languages (the ancestors of most Americans did not speak English; the Mongolians of central Afghanistan, the Hazaras, are now Persian-speaking Shiites). I don’t think making Judaism the basis for nationalist zealotry is a good idea, and most American Jews were appalled by the idea for most of the first half of the twentieth century. It isn’t worse than other nationalisms. It mostly isn’t much better. But when it is practiced as political cult it is truly objectionable. In Liberal politics (which includes modern conservatism of the William Buckley sort), if you make an argument, you can expect a counter-argument and a debate. In a political cult, if you make an argument you can expect to be smeared, undermined, and if possible destroyed professionally. Cults are extremely destructive, whether religious or political. They insist that the leader and the organization be exempt from criticism. That so many Jewish nationalists insist that it is not legitimate ever to criticize anything Israel does is a clear sign of political cultism. It is the same mindset that American Communists had in the 1930s about Josef Stalin and the Soviet Union. So a considered examination of the Israeli government’s Gaza War might conclude that disproportionate force was deployed, and that the army showed reckless disregard for civilian life. By no means all Jewish nationalists would be unwilling to debate these points rationally. But very large numbers are not willing, and they respond to this perfectly legitimate argument with abuse. The author of the argument is, they allege, a racialist bigot. He or she is purveying a Protocols of the Elders of Zion conspiracy theory. Others contradict without arguing. Or he or she is questioning the right of Israel to exist (they don’t specify the national borders). They mouth slogans such as that the Israeli army is the most humane in the world, or that Hamas is to blame for civilian deaths even when Israeli bombs do the killing. Some even hint at violence (a Jewish dissident wrote me recently, fearful of thuggish tactics of the Jewish Defense League– an organization classed by the FBI as having been the major source of domestic terrorism in the US 1965-1980). And perhaps worst of all, they secretly compile and send around a dossier to the employer of the author of the argument, seeking to have the person fired. Of course, all nationalism is somewhat intolerant. The Dixie Chicks got into trouble for disavowing the Bush administration and its war of aggression in Iraq. But in a Liberal society, nationalism’s worst excesses are curbed by a rule of law. People are not punished for making arguments in public in a free society, assuming they are not libelous (and a truly free society needs to avoid having political libel on the books). All this is prelude to my condemnation of of the University of Illinois for firing Steven Salaita, apparently for his Twitter feed! Professor Salaita said some provocative things during the war, but none of them are indefensible in rational debate. When asked about organized religion, Voltaire said “Crush the infamous thing!” Jefferson advocated an American revolution every 25 years, which would have gotten him in trouble with today’s FBI. Etc. 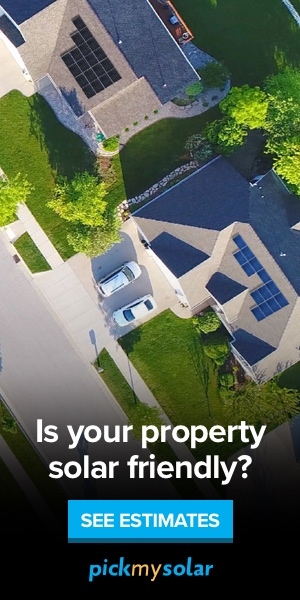 Are there lines that shouldn’t be crossed? Sure, but they should bad arguments based on shoddy research that people in the field have a consensus as being bad. He later saw emails detailing the skullduggery. I strongly suspect that Zionist organizations pressured the university to fire Professor Salaita. But note that they did not engage him in a public debate. They went into the halls of power behind the scenes. We saw this a few years ago with Norman Finkelstein. This behavior is undemocratic and cult-like, and it is unacceptable in a Liberal society. We also see Jewish nationalists on the bench, in public office, and in high administrative positions who misuse their public position to engage in a sectarian vendetta so as to protect Israel from criticism or to punish its critics. That behavior is unethical. US law and the US constitution should guide the decision-making of public servants, not narrow and idiosyncratic commitments. Would it be all right for a judge of Serbian ancestry to throw the book at a Croatian-American defendant? Universities are places for argument and debate. If Salaita says challenging things, he should be debated on them. He has been saying such things for a long time, so they should have been known when he was hired. But academic hiring and firing in any case should be based on academic writing, not on Twitter! Will we next be promoting people to academic positions because they sent out flattering tweets about their president or dean? Issues in decorum are legitimately taken account of in decisions about whether to promote someone to an administrative post at a university. But professors should argue, and sometimes they may argue provocatively, deploying rhetorical devices like hyperbole. We have a tenure system to make sure that academic debate is not punished, and I believe that it is important to the republic and its democratic values that this be so. Our journalists are often muzzled by the corporations for which they work. Likewise, businesses often maintain that they can fire employees for taking political stances that embarrass the business. Much of America cannot in fact exercise free speech, for fear of economic reprisals, despite constitutional guarantees. That is not right, but at least in academia it is difficult to just fire someone for making a public argument. But sometimes the dirty deed can be done, with regard to the untenured or to those with an outside offer who are moving between tenured positions. It is a shameful business.